Here’s a good photo from the 1st day of a two day event and I’m not sure what was harder, packing up what to bring or actually displaying it on the table in the morning. Lets just say some stress was had. After everything was set up it was great, a really good atmosphere with Oakleighs fairs (who run the craft marquee we were in) everyone was really friendly. As you can see we had our pendulum wall clocks, shabby chic long sunshine signs, sets of wooden coasters, funny plaques (everyone seemed to walk by and laugh, except those that lack that little big of humor). Along with the letter racks and photos frames I created a children’s section, with owl bookends, hanging signs and our favorite tooth fairy cushion. All in all apart from the terrible rain the first day it was a brilliant experience, County shows are the way to go. It’s not everyday you get to work and enjoy yourself at the same time so we will be doing plenty more. Our next one will be in Cambridge County Show on the 14th & 15th! Today I want to share with you a quaint little website called Serene Hearts which sells quirky, vintage home-ware. I am constantly planning out what my house will look like when I can finally afford to move out of home. One thing’s for sure, if I could afford to move out tomorrow I would be making one heck of an order to this website! I have a huge love for all things white and intricate. Therefore when I saw that Serene Hearts sold similar pieces, along with pretty much everything else that caters perfectly to my tastes, I knew I had to share this little gem with you. Undoubtably there will be a few of you out there like me who absolutely love how pretty these pieces are. Not only are they clean and chic but they are incredibly fashionable at the moment too. Hence why I couldn’t give up this opportunity to share this affordable website with you. I’ve picked out a few bits and pieces that I absolutely adore. Truth be told though, I could of picked a hell of a lot more! I can already picture where some pieces will go. Others have sentimental value and called to me straight away when I came across the – like the ‘You Are My Sunshine’ sign. I’m really intrigued by number 8 – the scented clay heart. I think that this could be a really cute item for the bedroom. I’ve always loved the thought of having a taupe/beige bedroom and a white office. Therefore I’m thinking the heart cushions would look lovely on my bed and the photo frame, although slightly oversized, could still fit well on my bedside table or perhaps on the wall. I’m sure i’d find a home for all these pieces. Pun not intended. 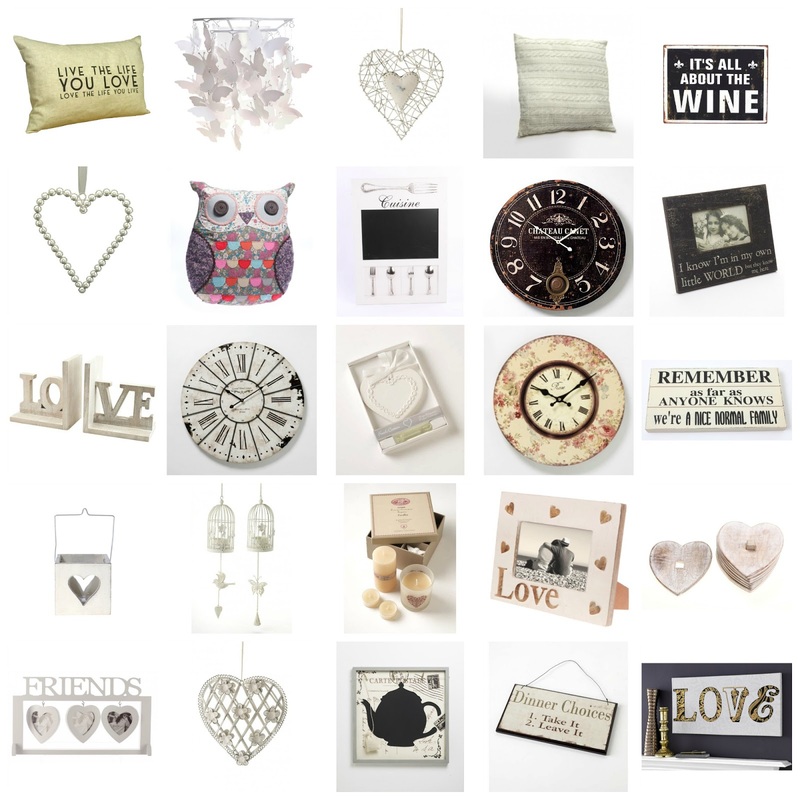 I was recently contacted by a quirky online homeware shop called Serene Hearts. They seem to offer a cheaper alternative to lovely home decorations that can often be extremely overpriced, so I do recommend for fellow students. They sell lovely gifts and trinkets for decorating the home, and they kindly offered to send me a surprise parcel of gifts for me to try out. Such a treat during my dissertation blues! I am yet to name him. I absolutely LOVED this when it arrived. I have wanted a jewellery stand for a long time, and this spindly but sturdy cream stand is perfect. I’ve already popped my rings and bangles on it, and settled it in next to my nail varnishes. This tiny mirror is a perfect addition to my bag. I am bored of trying to use my compact mirror, and this has a tiny matching case so it looks perfect amongst my many other bits and bobs. This is definitely the perfect trinket to cheer me up during coursework. I’m graduating soon, and I’m trying hard to grasp opportunities for writing and internships. A lovely addition to my bedroom wall! * These items were kindly gifted to me, but this does not affect the honesty of my review. Laura’s Haven | UK Beauty & Lifestyle: Serene Hearts Review! Possibly a symptom of getting older, I’ve been really into home decor stuff at the moment. My shopping trips have expanded to include TK Maxx and Next Home and I already know exactly what type of sofa I want – corner, pale and squishy enough to sink into (but not leather, too cold on the skin at first). My mum has been redecorating one of the rooms in my house at the moment and this alone was enough for me to catch the bug for rearranging my room! When Serene Hearts contacted me about featuring a couple of items from their site on my blog, I headed straight over to their website and breathed a sigh of contentment. I’ve ordered a couple of bits before from online retailers like this, specialising in shabby chic and vintage style decorations that so many people seem to adore! I was really lucky to get a few bits sent to me and I can honestly say that I loved near enough everything on the website; I was like a kid at Christmas opening the parcel! I didn’t get to show the products where I have them in my actual room because there’s building work being done on all the doors upstairs – dust sheets don’t make the most attractive backdrop! So this is the room my mum redecorated and I was actually considering donating the Truly, Madly Deeply Plaque to it because it goes so well – but, it also will look amazing above my new chest of drawers in my room so *evil laughter* it’s mine! 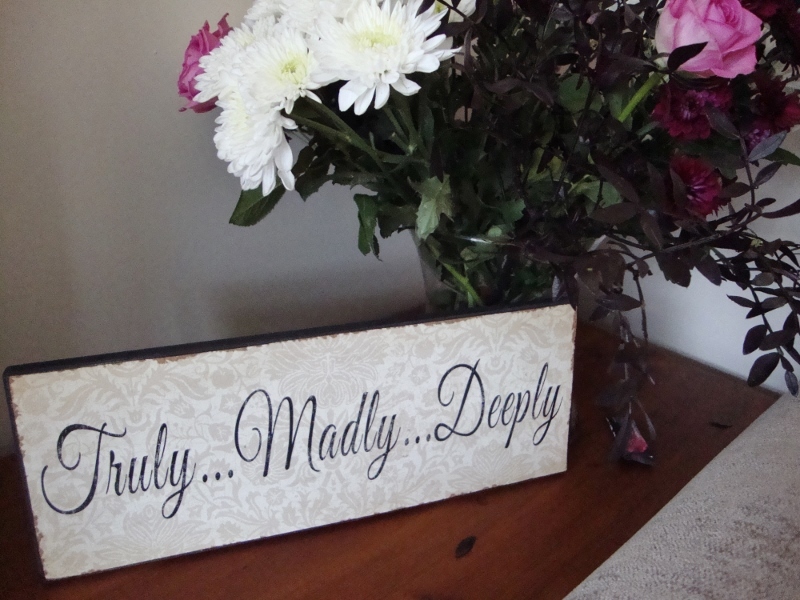 The distressed looking edges give a great homely feel to it and I actually really love the script on it! Also, I bought the flowers in the background, so good daughter award to me please? The Owl Cushion, I was really happy to see! I’ve seen similar ones in quite a few places but all for around £20 – this is priced competitively at £13.99 and it feels like pretty good quality. My room is mainly cream with a black bed frame and one wall with black wallpaper so this cute cushion sits on my bed to give it a much needed spot of colour! All the different floral styles are cute, girly and I’m considering buying one for a friends birthday next month. What item better for the last thing, but a candle. A Fresh Cotton Scented Candle, to be precise. It comes with a cute cover (a must for hiding away the half burned away wicks) and smells lovely, but subtle. The scent spreads across the room really nicely but it’s not too overpowering like you get with some candles – this one could burn away in the background, just leaving a fresh clean scent behind. I like vanilla and baking scents in the winter but I’ve been looking for a candle more suitable for spring and this definitely fits the bill! Serene Hearts really impressed me with the items they picked out and I’ve got my eye on a good few more things to treat myself to around payday. This Bird Shadow Lampshade in particular looks like a really cute idea and I’ve never seen anything like it before: they also stock chalkboards, photo frames as well as gift items. While they did contact me, I genuinely do love their stuff – if you look back through previous home posts, you’ll see it’s exactly my style and the site will be staying bookmarked on my laptop for drool-worthy interiors. You can visit Serene Hearts by clicking here. What home decor styles do you love at the moment? Would you have picked any of these items? As I’m sure most of you are aware, I’m a bit of an Interior Design nut, and love nothing more than spending an afternoon moving round furniture and organising everything so it’s just so. You may have seen my Room Tour post, where you get a sneak peek into my bedroom which I spent a long time getting just right, picking out a colour scheme and finding all the perfect furniture and accessories. It has a definite ‘shabby chic / country cottage’ feel to it which I love, so when I heard of Serene Hearts I was hooked straight away! Serene Hearts is a little online store stocking the cutest little home wares and decorations, perfect for that vintage style that is so popular in home decor at the moment. Literally I could see the majority of their stock sitting in my room and if I had the space I would be putting in a truck load of an order but unfortunately I don’t (gutted). I will however show you some of my favorite pieces that are going straight on my ‘to buy’ list! At the very top of my list is the ‘You Are My Sunshine’ lyrics print which is actually made of metal. The lyrics of the song have sentimental value to me, so when I saw this I knew I had to have it. I’m thinking of getting it and putting it away for when Dan and I have our own place. I also love the print listing all the types of tea (I’m a sucker for typography) which would be perfect in the kitchen. 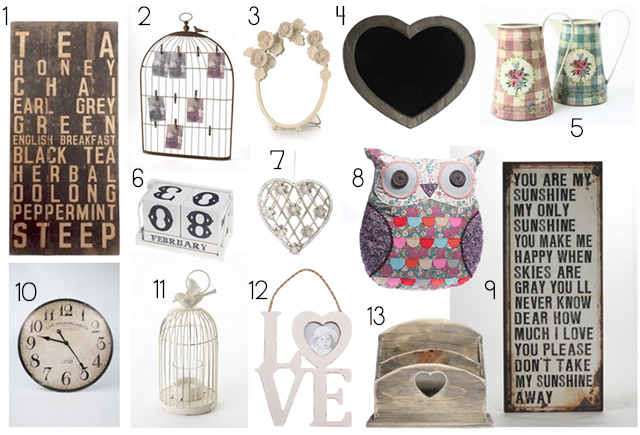 Amongst my other favourites are the adorable owl cushion, a heart shaped chalk board and a lovely little bird cage shaped photo holder. There really are some lovely pieces and I’m so glad I found Serene Hearts. Now I just need to clear out some space then I can start collecting some of their stock! What do you think of the Serene Hearts collection? What is your favourite style of decor at the moment? Last week we were contacted by Ali, she wanted to find out our story and feature us in here new blog. She has only just recently set up the blog and seems to have a really good eye for styles in homeware. We really liked the look and lay out of the blog and hope that you can take a look and give her some support 🙂 Just click here to see what we’re talking about. I love homeware. Like really really really love homeware. I wonder what will happen when I finally finish decorating and redoing every room of our house. I hate clutter, so I guess me and my love of shopping will need to cut ties with homeware shops and websites. 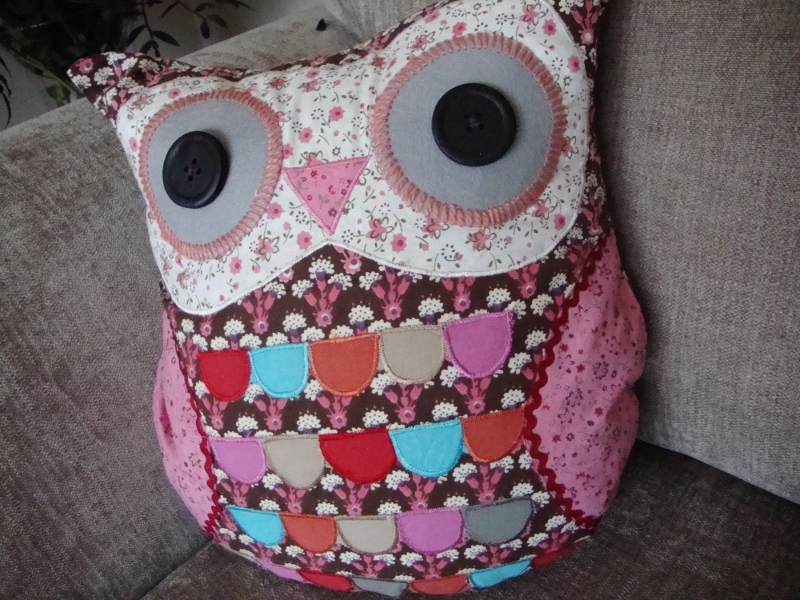 Or maybe I’ll just go back to the beginning and change all my accessories and soft furnishings…. Every week I’ll be blogging the “Secret Corner” – a spotlight on a little gem of a homeware website, perhaps one that you have never heard of, maybe something that you will fall in love with, or maybe it will bring you just what you’ve been looking for. I am going to thoroughly enjoy this but my bank balance will probably want to do a runner from me in return. Yikes. My very first homeware site is Serene Hearts. If you like shabby chic and affordable gifts then this is the place for you. Serene Hearts are fairly new to the world wide web and are actually just about to turn 6 months old! It was set up through a love of homeware and a belief that the accessories are what give the room a personality and I must say, I wholeheartedly agree. Serene Hearts sell a lot of things from other brands, but they sell them cheaper than most other places and have fantastic customer service to go alongside it, something that they focused on from the very start. They love to intereact with their customers and build up an enjoyable, trustworthy relationship with them so join them on twitter, facebook, pinterest and instagram. Some of my personal favourites include these gorgeous Gisela Graham ceramic door knobs. When it comes to decorating the bedroom (next on the list!) I will probably purchase some of these for my wardrobes – I’m planning on tackling some horrid 70’s veneer ones with some primer and white paint and think these would add the perfect finishing touch. I also LOVE this cushion, I don’t think it would fit in with any of my decor but I have a friend in mind that I think would love it so I might just have to go on my Christmas shopping list! And lastly… this! Which I think is just wonderful. I will definitely be purchasing this at some point and I think it’s bound to make people smile as they walk past it. I am a bit obsessed with framed quotes and I’m constantly looking for ones that aren’t super common… I think this ticks the box. See anything that takes your fancy? Spend over £45.95 and you’ll get free shipping when you use the code ‘free shipping’. Happy shopping!! 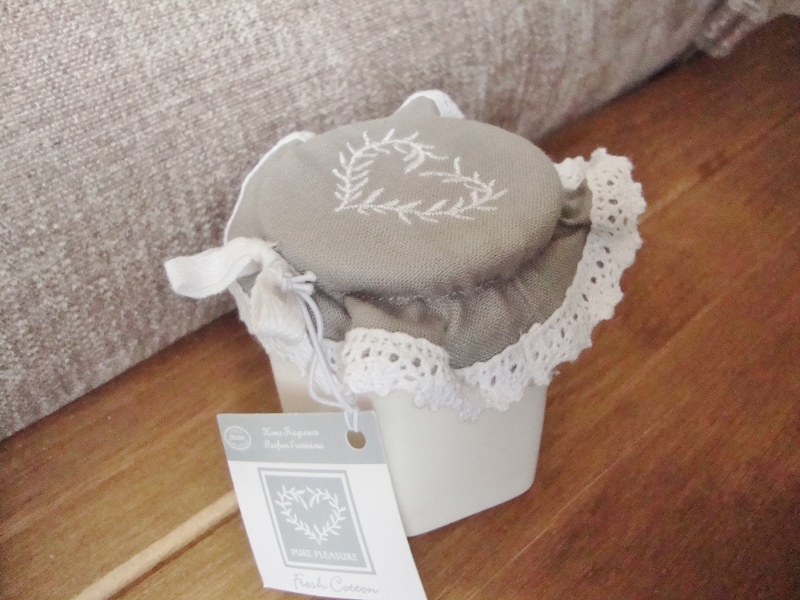 This week I’m going to share with you a lovely gift & homeware shop; Serene Hearts. I recently wrote a blog post about vintage rings which caught Serene Heart‘s eye! I must say I was super flattered when Serene Hearts emailed me to ask if I would review their gifts & homeware site! I went straight on to their website and found myself instantly feeling excited and wanting EVERYTHING!! They literally have everything to offer from candles to cushions to hanging hearts & accessories! If I had a home to fill I think I could piratically decorate the whole of it easily with Serene Hearts store! The thing I like most about Serene Hearts is their personal touch, they offer ‘Gift Ideas from our Heart‘ which includes various heart warming items to keep you feeling loved in your home! They also offer bespoke pieces in their ‘East of India‘ category! The item that grabbed my eye the most was the ‘Heaven Sends Pink Floral Clock.’ As soon as I saw it I knew I had to have it! Again a sentimental touch; Serene Hearts have lovely item descriptions, the floral clock says – ‘Display the time with elegance with this pink floral clock’ – I love that! I knew exactly where I was going to put it in my room too, my Mum’s tip has always been “Never buy something unless you know exactly where you’re going to put it, otherwise you’ll end up with a house like Grandma’s” – Gran’s house was a shop all of its own!! It comes in two different colours; sky blue and baby pink to compliment different tastes. Further excitement.. GET THIS.. Their prices are amazing!!! Everything is fairly priced and good quality! I’m definitely going to be buying a couple of other pieces to fill my home and I’m certain that my folks will want a piece too! I would consider reading their ‘About Us‘ section before you take a gander. I’ve never read such a lovely profile for a shop and it really sets the scene! All in all Serene Hearts has been a lovely experience for me and I am so grateful that they got in touch! New fan for life!! So go on, see what all the fuss is about >> www.serenehearts.co.uk. There are easy ways to make your home a better place without claiming you need big wide windows and a swimming pool to relax in when we all know that’s a lot easier said than done! You also do not need to redecorate and change the whole interior of your home. Here are 5 ideas you can implement to your home with ease. Accessories and a small bit of clutter can be better than being minimal. Having things around to show your style and personality can make you proud of your home, while items reminding you of certain times and books you have read show evidence of who you are to keep you grounded and feeling at home. Note to all you hoarders when it says clutter it means a few meaningful items not a barrage full of old newspapers no matter how important they seem! The use of art, such as original paintings, a small sculpture or canvas wall pieces of any kind give you authenticity making the room unique to you, showing visitors your individuality this in turn can help you feel secure in your surroundings. Small pieces of canvas wall art can be picked up at great prices and really brighten up the room. Make sure you have a space that’s your own, even if you can’t manage to have your own room but to find a space where you won’t be bothered. A lack of privacy can be very stressful in the home, sometimes you just need time to chill out. Don’t worry if this makes you seem rude or unsociable as it will be far more beneficial in the long run! Things in the home can be perfectly how you wanted them & you ‘loved’ how everything was arranged. That same vibrant feeling may have faded, everything becomes stale after a while and it’s your job to not get use to this but change it. No need for a massive overhaul just a few rearrangements of the sofas, drawers or even a new way to put the cushions out! Also with a few new introductions into the home such as a photo frame, sign, clock and other accessories you can feel you’ve brought in some new life and colour. While this change will boost your mood for the better for a long time, the act of moving everything around will be very therapeutic at that moment too. This may not need to be said for some, but there’s a fine line between accessories and a small bit of clutter… and mess. Keep your home tidy, not obsessively but do not let it get on top of you, mess around the home can be stressful without you knowing it. One important factor is keeping the home smelling nice! We love nice smells and they make us happy, simple. Some fragranced candles around the home should do the trick or even some plug in fresheners. Tidy home a tidy mind! Finally a bonus tip: Let in as much light as possible, it’s been proven to help beat depression and make us happier! There we go, that’s 5 ideas to boost your mood without making any drastic changes or spending too much money. Give it a go today and see what you think? They have their own style which is really good, we love to get different perspectives. We believe that the home should be a sanctuary, because a tranquil and harmonious environment makes for a serene heart. So why not put a decorative stamp on your corner of the world and take a look at the gorgeous array of products we have to offer. We aim to make customising the home as effortless, stress free and enjoyable as possible so that your humble abode can truly become a retreat from the chaos of life. Whether you’re after a little treat for yourself or something delightful for a loved one, Serene Hearts is the place to shop. From frames and mirrors to candles and clocks, product quality and outstanding service are always at the forefront of our minds because our hearts are in the right place. But don’t just take it from us. Some of our very satisfied customers have sent us pictures of their purchases depicting just how a statement clock, a handy chalkboard and a humorous plaque can really enhance the ambiance of the home. These chunky, shabby chic heart coasters look great in their new home. What a perfect way to protect your surfaces from a hot beverage! The colours are subtle enough to co-operate with any colour scheme and look great on all surfaces from coffee table to breakfast bar. This chalk board looks right at home and the back of the door is such a perfect place for a ‘Don’t forget to buy Milk’ reminder; no more excuses! If you’re looking for a stylish place to jot down your weekly shopping list, or an area to pen a cute message to your other half before you leave for work in the morning, then check out our array of chalkboards. The cream hues of this fluffy pillow finish of this beautiful boudoir perfectly. Something as simple as a cushion can really tie a bedroom together and enhance the existing tranquility. Plus blue is a beneficial colour to have in the home, as it slows the human metabolic rate down which produces a calming effect. This plaque fits neatly into its alcove making quite a feature of the bold black lettering. The comical statement is sure to generate giggles from guests; there’s nothing like a little humour in the home. This customers neutral colour scheme really allows this vintage clock to stand out. It looks gorgeous, centre stage on the wall and ties in wonderfully with the rest of the rooms chocolate tones. Lovely. Thank you to the above customers for sharing these serene snapshots. We really value your feedback. Ecstatic with your purchase? Then please don’t hesitate to let us know.